There are two sure-fire ways to tell Spring has arrived: nature in full bloom and “open house” signs on every street corner. Those signs also mark the arrival of the busiest selling season for residential real estate. 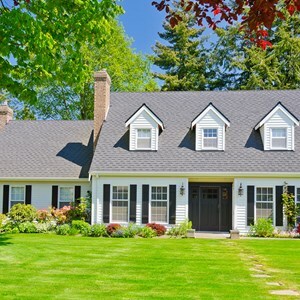 If you are thinking of selling your home, you’ll want to do some thorough maintenance and Spring cleaning to ensure you get the most money for your home. Clean all windows, coverings, screens and windowsills. Clean and organize all kitchen and bathroom cabinets. Trust me, buyers will open them. Eliminate signs of pets and make sure there are no odors lingering. Clean and organize all closets. Buyers will open these too. Remove appliances from kitchen counters. Organize books shelves and built-ins cabinets. Polish all interior woodwork. Quick tip: you can use olive oil and vinegar to fix scratches. When attempting to sell your home, first impressions can make all the difference. 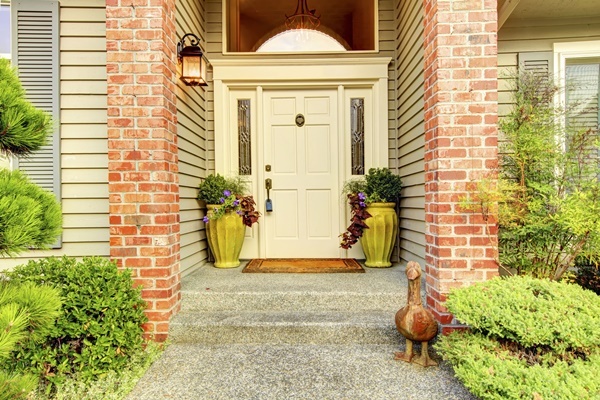 Your front door will be a big part of setting the mood for a potential buyer. If your door is in decent shape, a new coat of paint and some new hardware will make it look even more inviting. If there is a porch, make sure all the woodwork has been freshly re-stained or painted. Peeling paint or rotten wood doesn’t give a great first impression of a home or its condition. Replace or clean all carpets in your home. If the carpet is in good condition, a thorough cleaning should be fine. However, if there are stains that can’t be removed or places where the carpet is stretched out or frayed, it should be replaced. If you have hardwood floors, make sure they are cleaned and polished. Painting the exterior of your home is a big job that you might not want to tackle when preparing to sell your home. Good news: you may not have to! Try power-washing the exterior first as it is much less labor intensive and less costly than painting. Check the trim for any areas that might need repairing. Quick Tip: Bondo, a filler available in most home improvement stores, is awesome for small patch jobs. If the house does need painting, this might be the right time to hire a professional. Exterior painting is much more complicated than interior painting. Painting the interior isn’t quite as daunting as painting the exterior, but it’s still a big job. Once again, there are other options. Before you decide to paint the walls give them a good washing first. Quick Tip: Using a magic eraser can do wonders. If a paint job is needed, make sure to use a neutral color such as soft gray, warm white or latte. Paint any trip work a complimentary color. 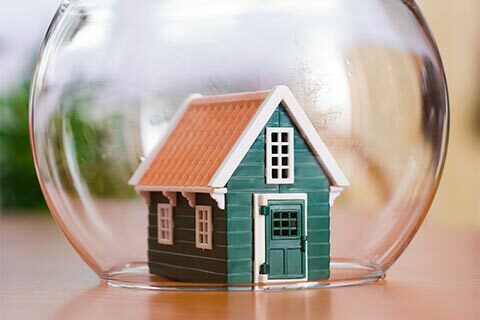 Preparing to sell your home takes some time, effort and money, although most tasks on this list can be accomplished with relatively little expense. Just remember, when selling your home, the added value you gain is well worth the effort and expense. If you are thinking about selling your home, check out homegain.com. The site has a handy tool to help you quickly evaluate what needs to be done prior to putting your home on the market and will also estimate the return on investment you can expect for your area.